Image: Elisa Jane Carmichael, Bringing her home 2018, synthetic polymer paint on canvas. Redland Art Gallery Collection. Acquired in 2018 with Redland Art Gallery Acquisition Funds. Courtesy of the artist. Photography by Carl Warner. 2019 promises to be another exciting year at Redland Art Gallery (RAG) and we can’t wait to have you visit our Cleveland and Capalaba galleries. The RAG program will be supported by over 75 events and workshops for you to be involved in. 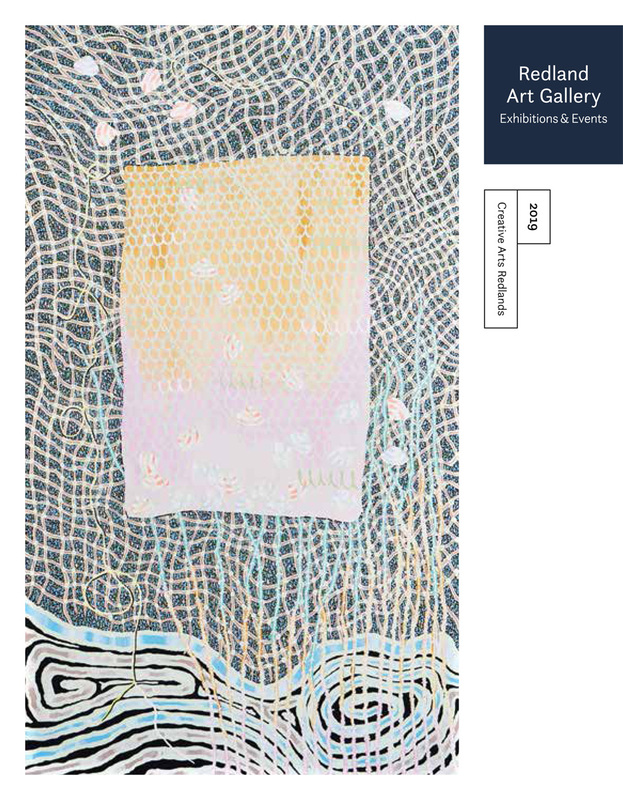 It includes an exciting line-up of 20 solo, group and national touring exhibitions including Seeing Country which celebrates Aboriginal ecological understandings by highlighting resilient relationships with the lands and waters. Curated by Freja Carmichael, the exhibition will be accompanied by a number of special public programs and opportunities. This year many artists have drawn inspiration from the Redlands Coast by reflecting on the unique environment, connection to Country, everyday life and a strong sense of community. Others share their stories and personal journeys with us. Their exhibitions feature jewellery and small objects, painting, drawing, photography, multimedia, sculpture, textiles, print making, ceramics, and installation. Works from the growing RAG Collection are also a highlight. Come along to an exhibition opening event, book in for a workshop or stop in at one of our free, regular monthly events and explore the influences that affect and shape our region. There are just too many fantastic exhibitions to list here so please read on for more details and to find out how you can participate. We hope you enjoy the 2019 program and look forward to seeing you at RAG soon.